Are you going to need something to carry your holiday haul? Thor might just have the perfect solution for you. Oh, and it works great as a gear bag, too. 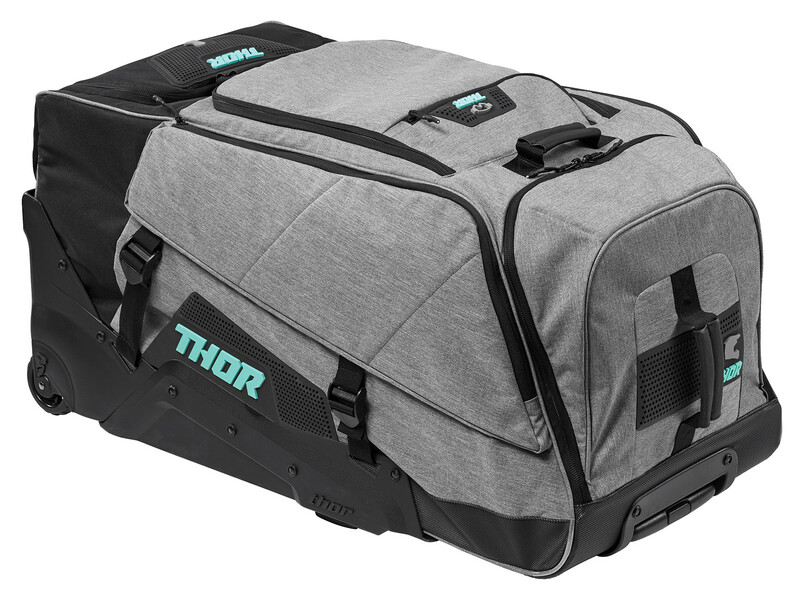 The Thor Transit Wheelie Bag ($249.95) might be the ultimate getaway vehicle. Let's start from the ground up. The chassis of the wheelie bag has a durable molded base, oversized wheels to keep you rolling easily, and durable reinforced handles with a retractable push botton in the main handle. The bag itself is constructed with a 1200D Ballistic polyester shell, and 210D polyester lining. 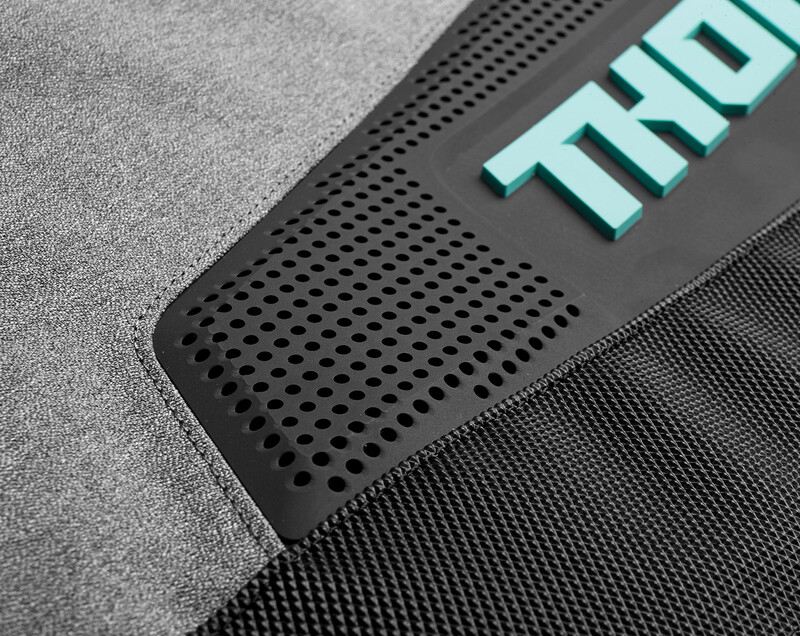 The large main compartment is ventilated on both sides, and there are mesh pockets along both sides it. There's also a roll-out changing mat, micro fleece lined helmet & goggle pocket, and a PU Backed boot compartment for durability & cleaning. 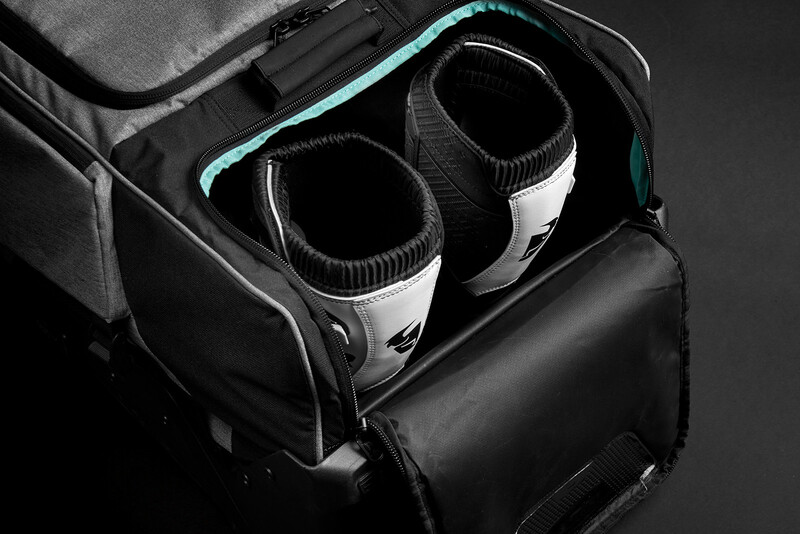 There are even cinch straps to compress bag height when you're running at less than a full complement of gear, and the exterior pieces built into the bag have ventilation holes, so moisture on the interior doesn't have to stay there. Overall dimensions are 37” L x 16.75” W x 17.75” H, and it's available at any Parts Unlimited retailer. 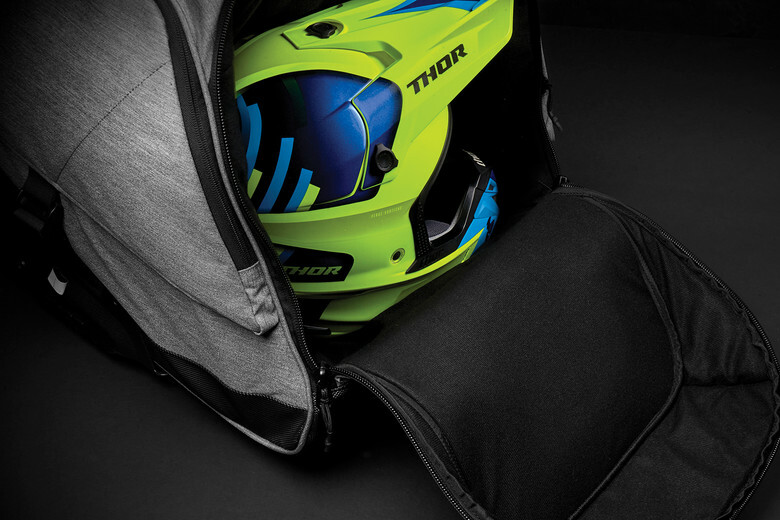 For more info, check www.thormx.com. We could REALLY use a nice gear bag. This is awesome, I would love this. needs a gear bag soooo bad. pick me! Guess who doesn’t own a gear bag and uses his snowmobile gear bag for moto? This guy. I need this. Mine is trashed. Wow this bag is awesome, and would match my Thor gear set perfectly. Pretty please, Santa. My gear bag is literally 20 years old!